THE birds wanted a king. Men have a king, so have animals, and why shouldn’t they? All had assembled. “The Ostrich, because he is the largest,” one called out. And so they got no further. Then one shouted aloud, “He who can fly the highest will be king.” “Yes, yes,” they all screamed, and at a given Signal they all ascended straight up into the sky. “T-sie, t-sie, t-sie,” he heard above him. There Tink-tinkje was flying. He had held fast to one of the great wing feathers of Vulture, and had never been felt, he was so light. 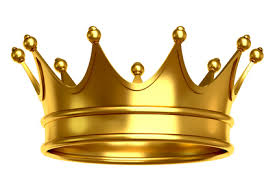 “T-sie, t-sie, t-sie, I am the highest, I am king,” piped Tink-tinkje. “T-sie, t-sie, t-sie, I am the highest, I am king,” Tink-tinkje mocked. 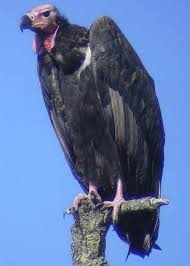 There he was again, having crept out from under the wing of Vulture. Vulture flew on the fifth day straight up in the air. “I am the highest, I am king,” he called. Vulture was tired and now flew direct to earth. The other birds were mad through and through. Tink-tinkje must die because he had taken advantage of Vulture’s feathers and there hidden himself. All flew after him and he had to take refuge in a mouse hole. But how were they to get him out? Some one must stand guard to seize him the moment he put out his head. 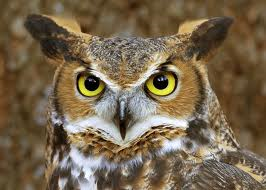 “Owl must keep guard; he has the largest eyes; he can see well,” they exclaimed. Tink-tinkje peeped, saw that Owl was asleep, and z-zip away he went. Shortly afterwards the other birds came to see if Tink-tinkje were still in the hole. “T-sie, t-sie,” they heard in a tree; and there the little vagabond was sitting. And from that day to this Whitecrow has never spoken. Even though you strike him, he makes no sound, he utters no cry.